The Vancouver Canucks have turned to veteran goalie Ryan Miller for Thursday's must-win Game 5 against the Calgary Flames. 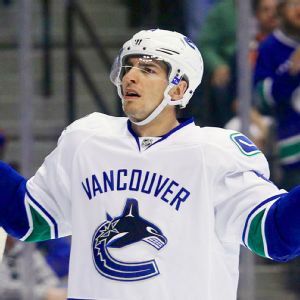 Vancouver Canucks forward Alex Burrows did not play Tuesday night after suffering an upper-body injury during the morning skate. Last June, Nino Niederreiter was watching the NHL draft because he had a pretty good idea that fellow Switzerland native Mirco Mueller would be taken in the first round, no later than the No. The GM job for the Buffalo Sabres is open following last weeks franchise overhaul that included the dismissal of Darcy Regier. Larry Brooks of the New York Post asks if new president of hockey operations Pat LaFontaine will make a call to Neil Smith, who has been out of the loop for a few years. Update: Firing Kevin Dineen and his coaching staff is likely just the start of pending adjustments for the Florida Panthers. 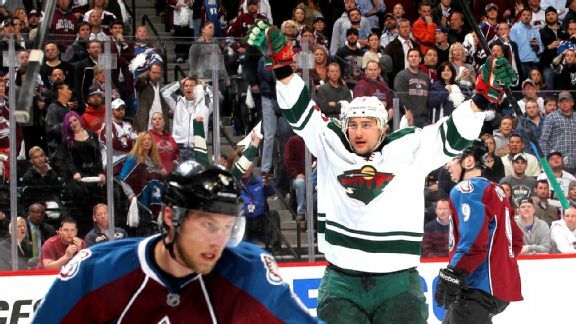 ESPN.com's Pierre LeBrun suggests GM Dale Tallon hopes to make some on-ice personnel changes as well:". Thursday's slate of Insider content included Craig Custance's look at why Jaroslav Halak is playing better this season, and how his resurgence makes the Blues a Cup contender. Three more NHL games were played on Wednesday night, and here at ESPN Insider, we had three pieces of captivating NHL content. Frank Provenzano explored the teams in salary cap trouble ahead, Craig Custance had a look at five big questions for the Carolina Hurricanes and here on the RC blog, we had the debut of Victoria Matiash's "Fantasy Grapevine" column, spinning the news of the day for fantasy hockey relevance. 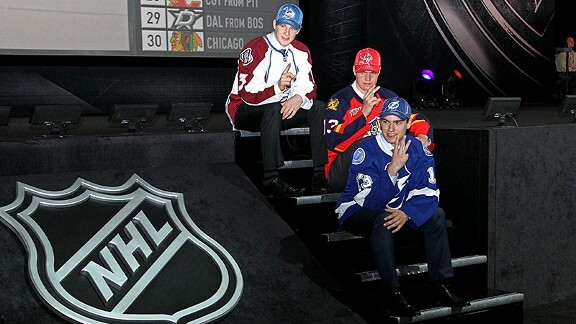 Sean Allen assesses the potential fantasy hockey impact of the 2013-14 NHL rookie class, including Nathan MacKinnon, Sven Baertschi, Valeri Nichushkin and Seth Jones. Thursday was another full day of NHL Insider content, as Corey Pronman unleashed his Top 30 prospects for the 2014 NHL Draft, Craig Custance checked in from Denver with 20 observations on the Avalanche and Hockey Prospectus offered up their Top 10 goalies for 2013-14.